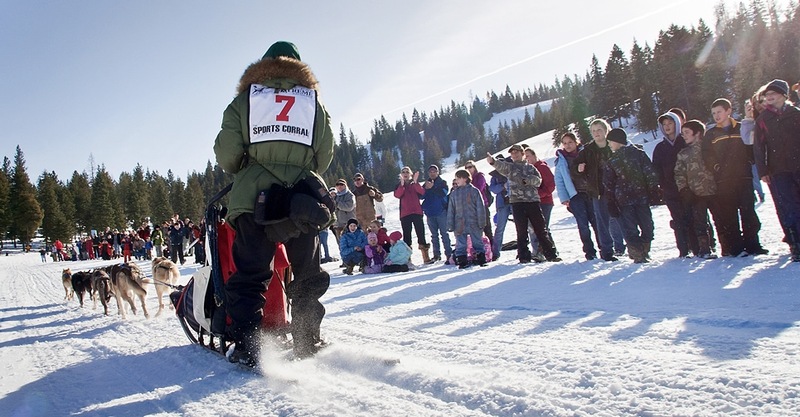 The start of the Eagle Cap Extreme Sled Dog Race is always an exciting winter event in Wallowa County. 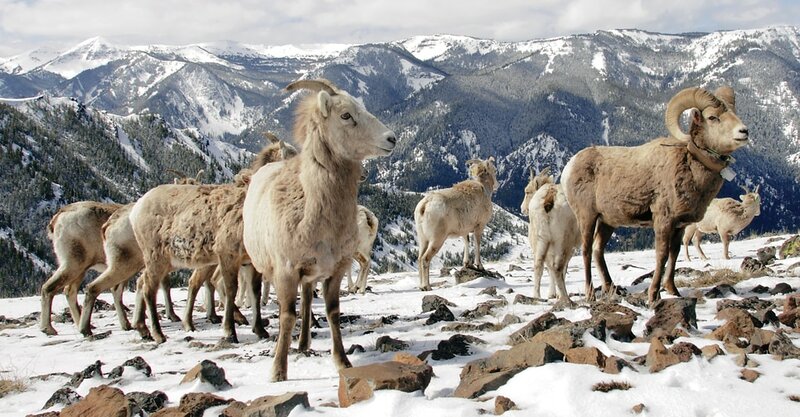 Bighorn sheep winter in the high country of the Wallowa Mountains. 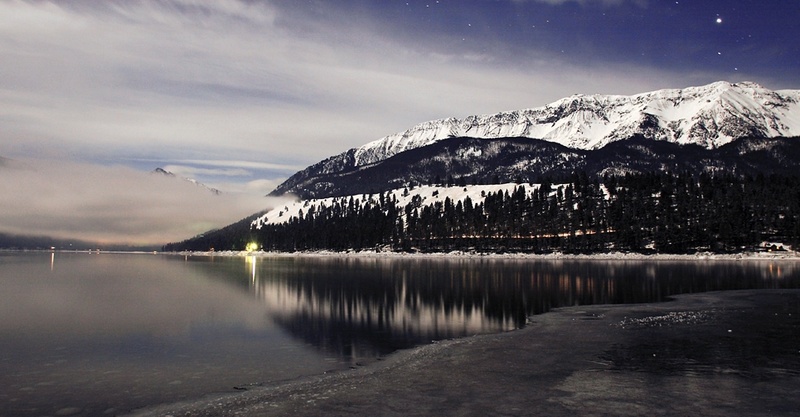 Ice creeps across Wallowa Lake on a cold December night. I couldn’t resist stopping to photograph the scene on the way home after one of my nighttime trail runs from the Wallowa Lake Trailhead. 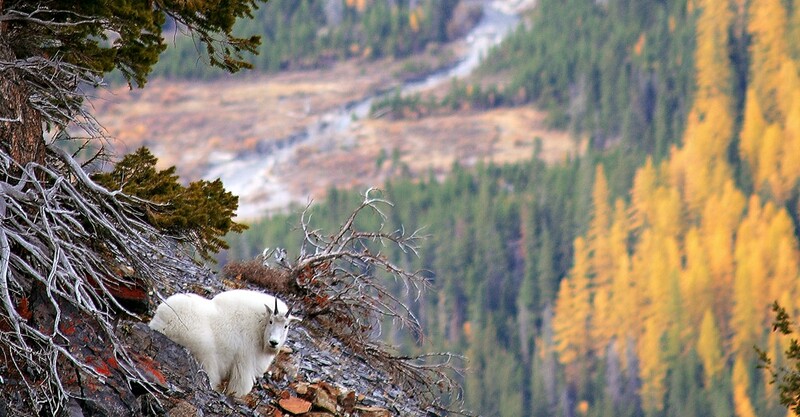 A mountain goat keeps a watchful eye on me during a late-fall ascent of Oregon’s sixth-highest mountain and the highest in the Wallowas, Sacajawea Peak. I usually try to get in at least a couple good climbs right before the snow flies and winter covers the landscape. 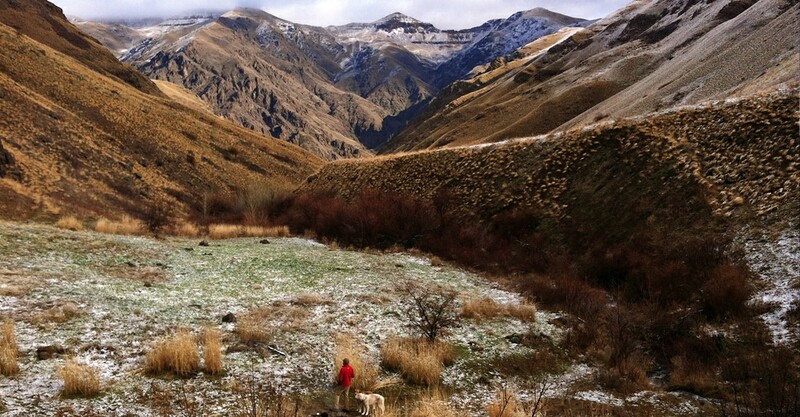 Occasionally, snow falls even near the desert bottom of the deepest canyon in North America, Hells Canyon. Nonetheless, it is a great place for hikers and backpackers looking to escape the harshest elements of Eastern Oregon's cold winter months. Wallowa County local backcountry adventurer Justin Sullivan pauses to rest a moment near frozen Upper Bonney Lake in the Eagle Cap Wilderness during a winter snowshoe expedition. 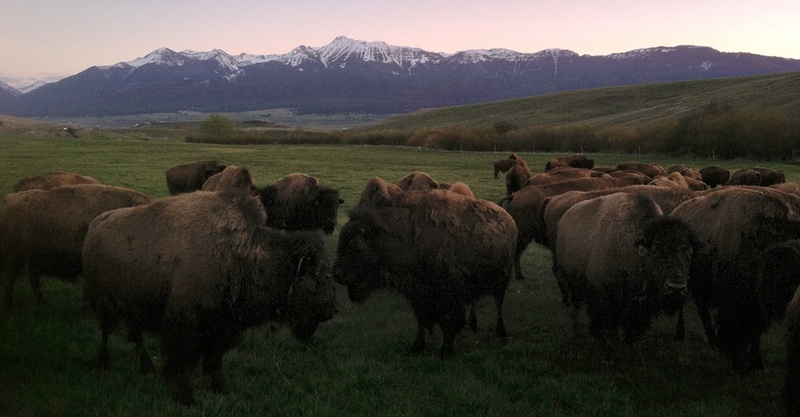 Buffalo graze beside Highway 3, outside of Enterprise, Oregon, at the Stangel Buffalo Ranch on a peaceful Wallowa Valley evening. There is no better adventure companion than a loyal and loving dog. The Wallowa Mountains, contained within Oregon’s Eagle Cap Wilderness, include 18 peaks over 9,000 feet within 360,000 acres of wilderness in the remote northeastern corner of Oregon — the largest wilderness area in the state. 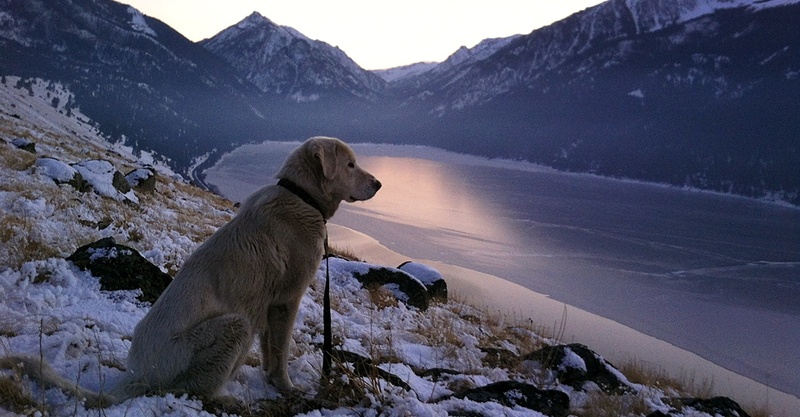 Born and raised in Wallowa County, I’ve been hiking and exploring the Wallowa Mountains backcountry for 33 years. Even when I was away at college and living in other places pursuing work, I’d make it home several times a year to spend time in the wild country I love. Moving back here to raise my daughter and give her the same wonderful and wild opportunities I had growing up was one of the best choices I’ve ever made. Now, as she leaves to attend college herself, I see that she carries with her a deep love for all things wild and beautiful. I know that she too will return here, and to places like this, to rejuvenate her soul. Once you’ve been out here, it’s easy to understand why someone would find himself returning to the boundless beauty of the Wallowas, how out here one is instilled with an endless passion for the splendor of the natural world. These mountains are bordered by Hells Canyon — the deepest canyon in North America — with the mighty Snake River flowing through it. In only 30 miles as the crow flies, one can travel from the desert depths of Hells Canyon to the glacier-carved alpine summits of the Wallowa Mountains. There are endless opportunities for adventure in this little-known part of the country. There’s also an incredible and rich cultural history to this place, as it was once the home of the Wallowa Band Nez Perce (Nimiipuu) Indians, led by Chief Joseph. While the area does receive many visitors in the summer months, it remains quiet during the winter. 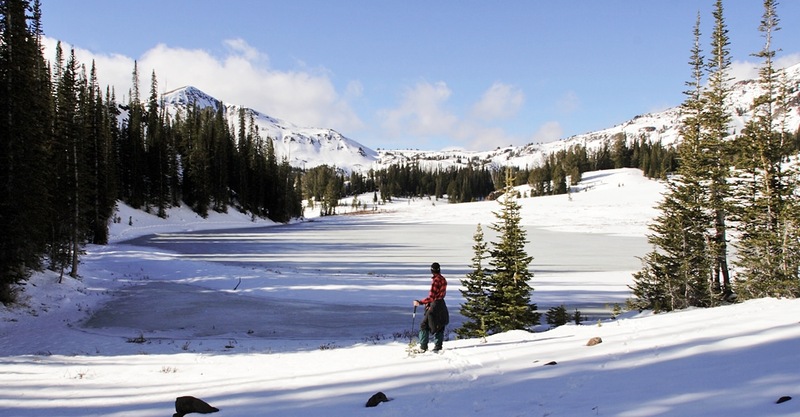 Although backpacking and hiking opportunities are limited in the Wallowas during winter, and the high country is left to the intrepid adventurers of the backcountry skiing and snowboarding community, there are still plenty of opportunities for people who love spending time in remote places.